This blog entry is on the second of the three 1969 rock festivals held on Memorial Day weekend. 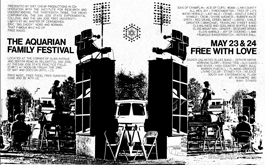 The first piece was on the Aquarian Family Festival in Santa Clara, California. This entry is on its rival a half-mile away: the Northern California Folk-Rock Festival. 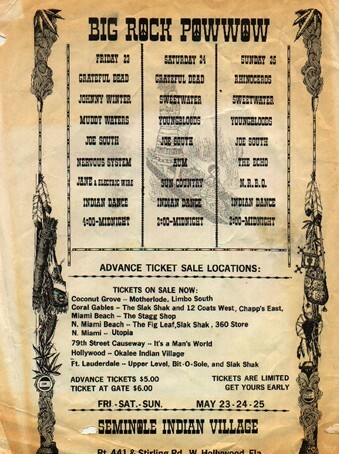 The Aquarian was a two-day free event. The Northern California Folk-Rock Festival was a three-day ticketed event. 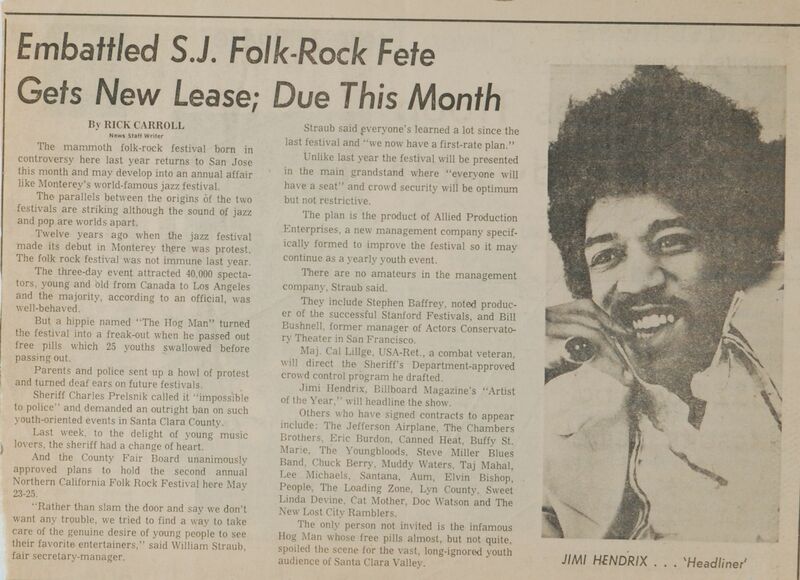 The first Northern California Folk-Rock Festival had happened in 1968 and had issues. Some of the bands advertised weren’t actually booked and PCP sent hundreds of attendees to the local emergency room. “Never again” was the immediate reaction by local law enforcement, but a year later the second (and last) NCFRF came off. How? According to the Rock Prosopography site: After the drug-addled debacle of the previous year, it was surprising that there was an encore. 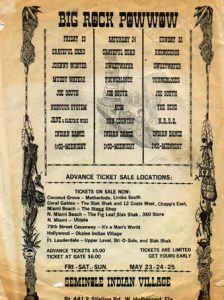 Supposedly the promoters managed to rent the Fairgrounds on false pretenses, and then started advertising Jimi Hendrix and Led Zeppelin, even though they had neither under contract. The festival ended up occurring, and was well attended, but the city and county made sure there wasn’t any further events. Newspaper announcement that festival would be allowed. The Northern California Folk Rock Festival, organized by Bob Blodgett, was held at the Santa Clara County Fairgrounds. It had a stellar line-up. I’ve highlighted those who would perform at Woodstock in August. 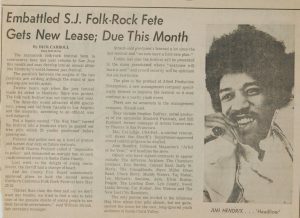 Jimi Hendrix, now a super-star was the main attraction. It is a portion of his “Red House” performance that is heard at the top of this entry and the full 11-minutes in the YouTube selection below. 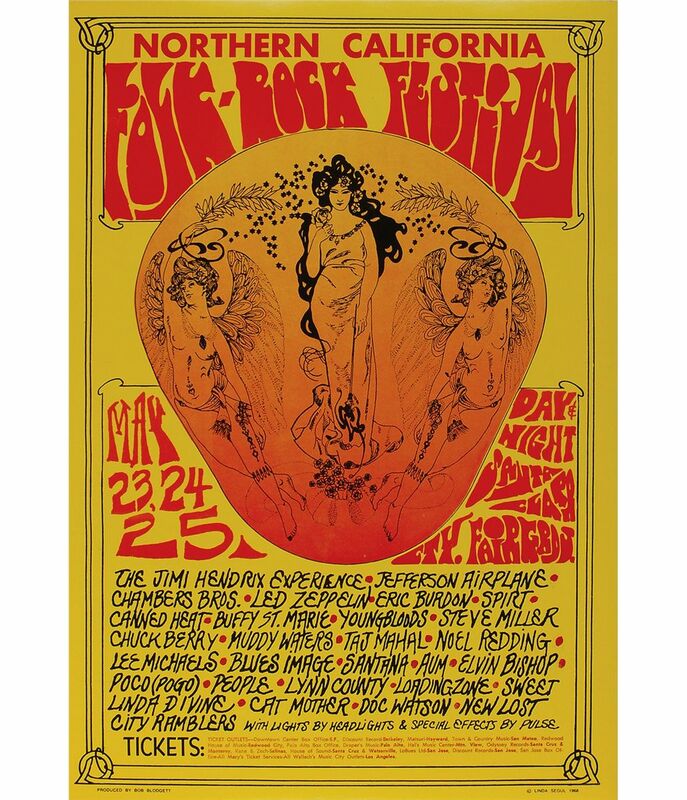 Unlike Woodstock, but exactly like the more than two dozen other major festivals in 1969, the Northern California Folk-Rock Festival was not filmed nor recorded. 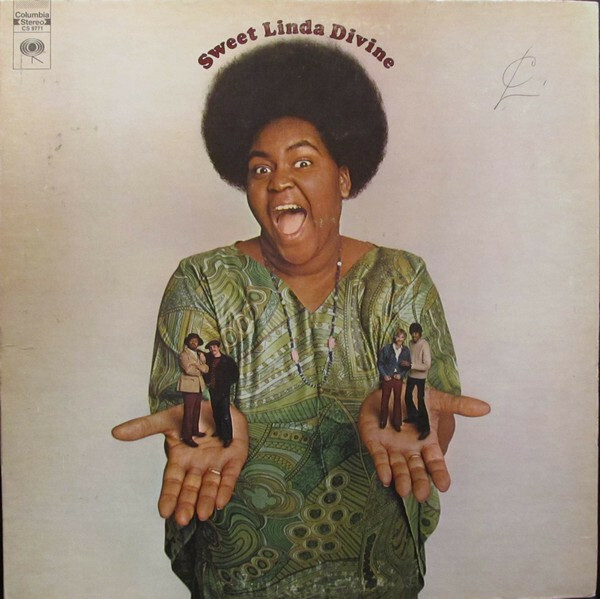 The overpiece song at the top of this entry is Sweet Linda Divine from her solo album. 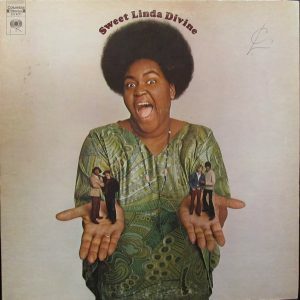 Sadly most of us have not heard of Linda Tillery, but from the powerful performance we hear a piece of, we should have. And I’m sure the same can be said of many of the other performers from this sadly “unknown” festival. The Concierge Photo dot com site has several photos of the event. Check them out. 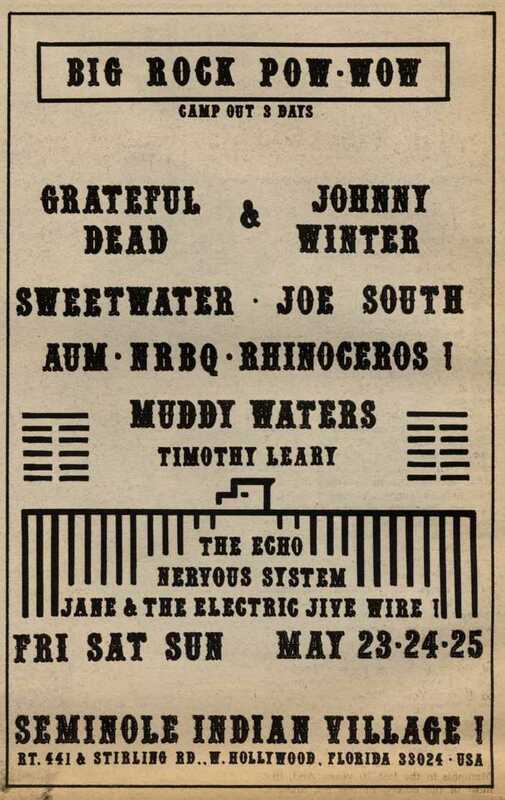 The third of the 1969 Memorial Day weekend festivals is perhaps the most interesting of all. It wasn’t filmed so pictures of the event are hard to come by. It wasn’t recorded either. Well, mostly. 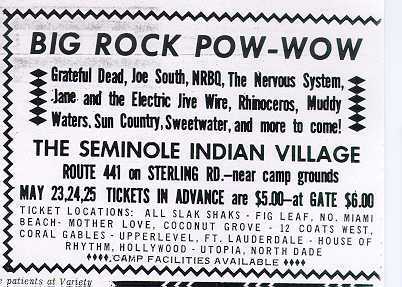 Fortunately for us, the Grateful Dead played the Big Rock Pow Wow that weekend (twice) and, as they typically did, recorded themselves. Today that recording (and an excellent one it is!) 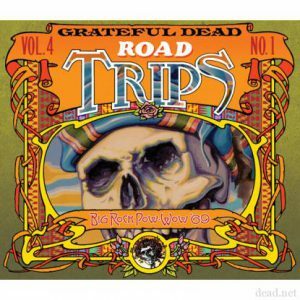 is available as Road Trips Vol 4 #1. Both shows are available to listen to via the Internet Archive: Friday 23 May 1969 & Saturday 24 May 1969. The legendary Owsley “Bear” StanleyThe recorded them. The festival attracted only a few thousand people, but the line-up was a solid one. One of the performers I want to point out is Johnny Winter. 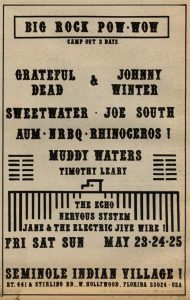 The reason I want to do that is because as we move through the calendar and I blog about the many other 1969 festivals, one should note how many times you see his name. He is all over the place. 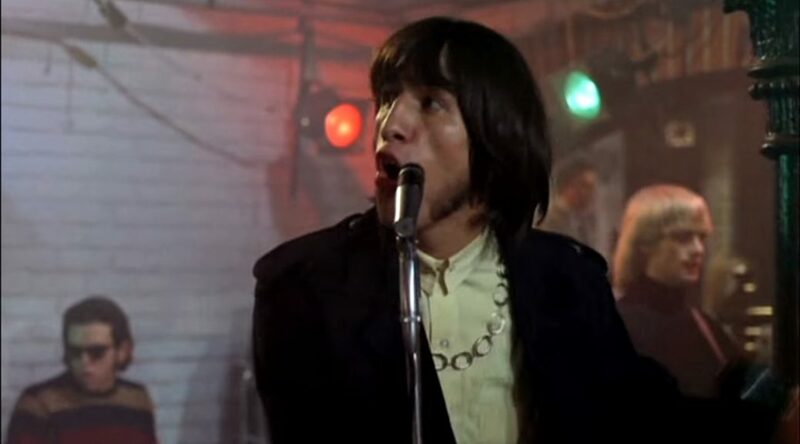 Actually at the end of April, Woodstock Ventures had already signed him ($7,500) to play at their upcoming middle-of-nowhere festival in Wallkill, NY. Sweetwater would also appear at that august event. The band Aum [members were Wayne Ceballos (guitar, piano), Kenneth Newell (bass), and Larry Martin (drums).] from San Francisco played also. 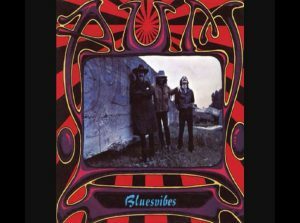 Aum is another of those good bands that came and went but had the eye of people like Bill Graham who put Aum on his record label for their second (and last) album. It is their “Mississippi Mud” you hear a piece of at the top of today’s entry.